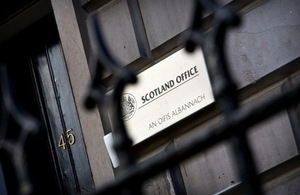 The Secretary of State for Scotland, Michael Moore today met with David McGinley, Business Development Manager and John Gardner Head of Government Relations at Babcock. The Minister met privately with the Babcock management before being given a tour of the yard by Mr McGinley. Mr Moore then spoke with Trade Unions before departing. “I enjoyed my visit to Babcock today. We talked about the importance of ship-refitting and engineering to the Scottish economy, and I saw for myself some of the impressive work that is underway.